Put your best foot forward wearing these funky socks that emphasize your daily wears! 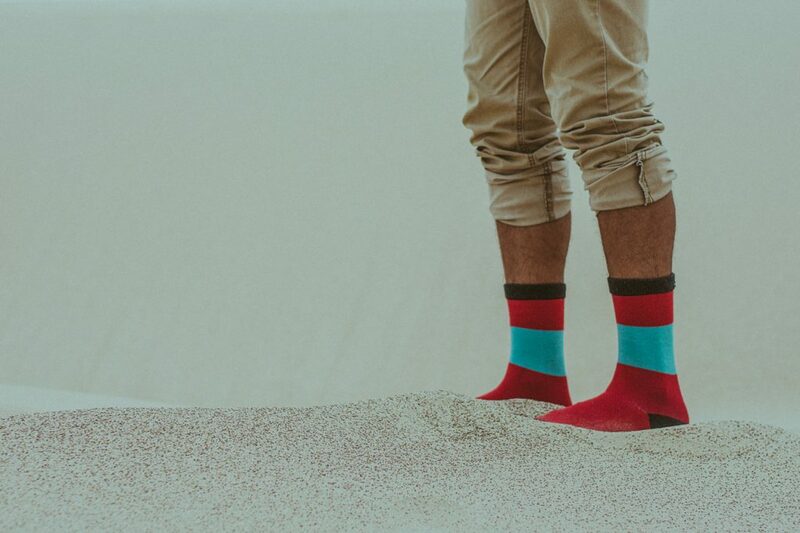 Aside from wearing as a fashion statement, plenty of benefits can be attained by wearing socks. The foot is among the major producers of sweat in the body it is only necessary that wearing socks to help absorb sweat and draw it to areas where air can evaporate the perspiration. Covering the ankle or some part of the calf, socks are worn as a type of clothing over a shoe or a boot. Preventing shoe-bites and friction caused by walking wearing shoes, choosing suitable socks to the weather and climate is the thing to keep in mind. Ankle length socks or low cut sock are ideal when wearing low cut shoes, loafers, and boat type shoes. These socks prevent blisters while at the same time giving you a funky and a classy look. When wearing boots, these high fashion socks gives complete protection from tough weather and is vastly proper for outdoor activities. Knee length socks were popular during the earlier days for being parts of the uniform. Posing with warmth and comfort, the calf length socks are typically worn with casual dresses, skirts, and shorts. If you want to look casual, calf length socks are the perfect socks for you! These unisex socks are best for outdoor activities even with sports. These types of socks are six to eight inches below the calf. Protecting the feet from blister and shoe bites, quarter length socks reach above the ankle and below the calf. Wearing suits and other professional outfits, these socks give elegant looks. Aside from these types of socks, other fashionable socks are a great to deal that highlights the fashion statement of a person that easily gives a great impression. Another trend now is the Korean Socks that are not only fashionable but is oozing with cuteness and appeal that you will love.